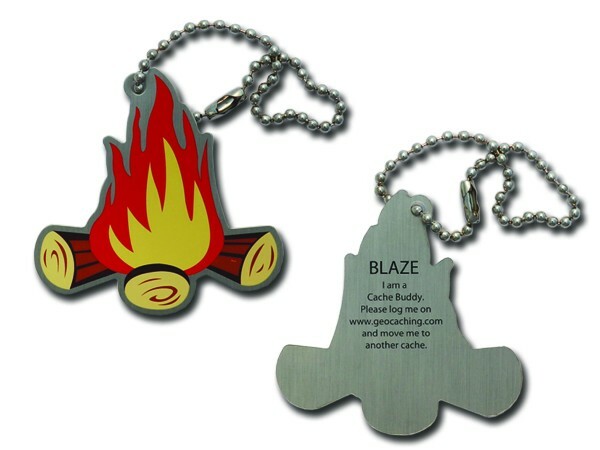 Part of our camping tag series, Blaze the Campfire, will burn brightly late into the night on geocaching camp outs. All Cache Buddies are made of aluminum, just like travel bugs, and come with a chain so that it may be attached to another item. Blaze the Campfire measures just under 2".